Nokia seems has fixed the bug which made the hide-the-notch feature disappear from Nokia 6.1 Plus in the last update. There are two modes in the smartphone – full bezel mode and default mode. Nokia recently rolled out Android’s August security patch OTA (over-the-air) update to the Nokia 6.1 Plus. Alongside the update came a bug due to which the feature to hide the notch disappeared from the device’s settings. The bug was first reported by the smartphone users on Twitter. Nokia took notice of the issue and seems to have fixed it. Nokia has fixed the bug and will be enabling the feature according to a tweet made by Juho Sarvikas, Chief Product Officer, HMD Global. However, it is yet unclear if the company has started rolling out the fix to Nokia 6.1 Plus smartphone users or not. There are two modes in the smartphone – full bezel mode and default mode. In the default mode, users will be able to see the notch and the display elements would wrap around it. In the full bezel mode users can hide the notch by covering the side areas with a black bar. However, the status bar could not take much space in this mode as the details including the battery percentage, Wi-Fi, Bluetooth, time indicators would still be located in the black bar. 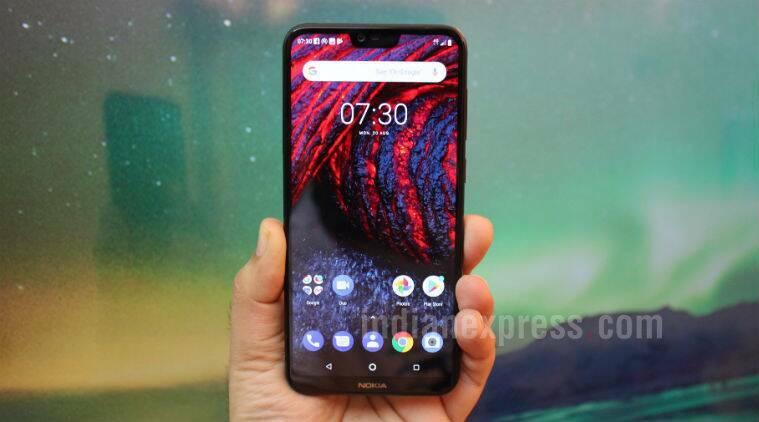 Nokia 6.1 Plus is a rebranded version of Nokia X6 for global markets. The price of the phone is Rs 15,999 in the Indian market. It is the first smartphone from the manufacturer to feature a notched display. It sports a 5.8-inch FHD+ display with 2.5D Gorilla Glass 3 for protection and an 19:9 aspect ratio. The device is is powered by the Qualcomm Snapdragon 636 processor and comes with 4GB RAM, 64GB of internal storage expandable via a microSD card. Nokia 6.1 Plus sports a dual rear camera setup comprising of a primary 16MP f/2.0 sensor and a secondary 5MP monochrome sensor. Plus, there’s a 16MP f/2.0 sensor on the front. The device is an Android One-branded phone, which means it will have the latest Android version and regular security updates. It currently runs Android 8.1 Oreo and is backed by a 3,060mAh battery.